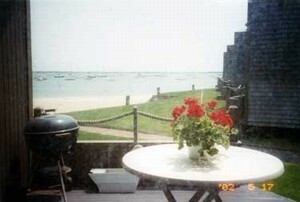 Luxury 3 bedroom 2.5 bath townhouse at the Yatchman with views of Lewis Bay and Nantucket sound from living rm. kitchen dinning rm. master bed rm. den and 3 decks. 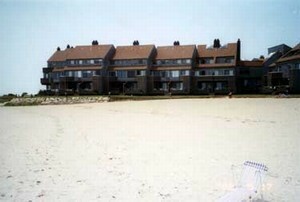 This unit is right on the beach and within walking distance to downtown Hyannis. Minimum one week rentals. Call or email for rates.